Stretching 47 in. 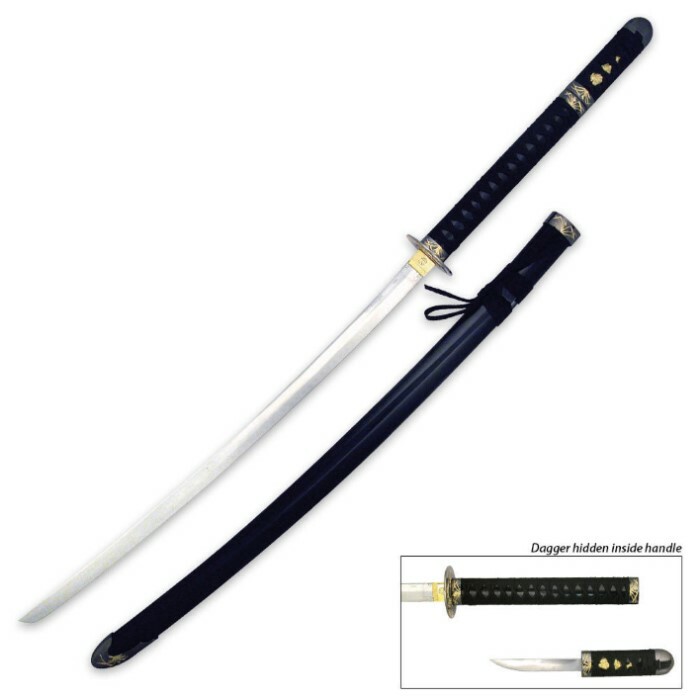 overall, this katana is longer than most and hides a second blade that your enemy will never expect. Take hold of the end of the handle and pull to reveal the 10 in. tanto hidden within. Both blades are forged from 440 stainless steel and come polished for display. An orchid, famously cultivated by the Japanese Bushido (warrior class), is prominently featured on the tsuba (guard) and other fittings. 36 in. blade. This katana was larger than i expected. Well put together, this is worth more than the pirce!